In 1962, 18-year-old Peter Fechter was shot and killed by East German border guards while trying to cross into West Berlin. 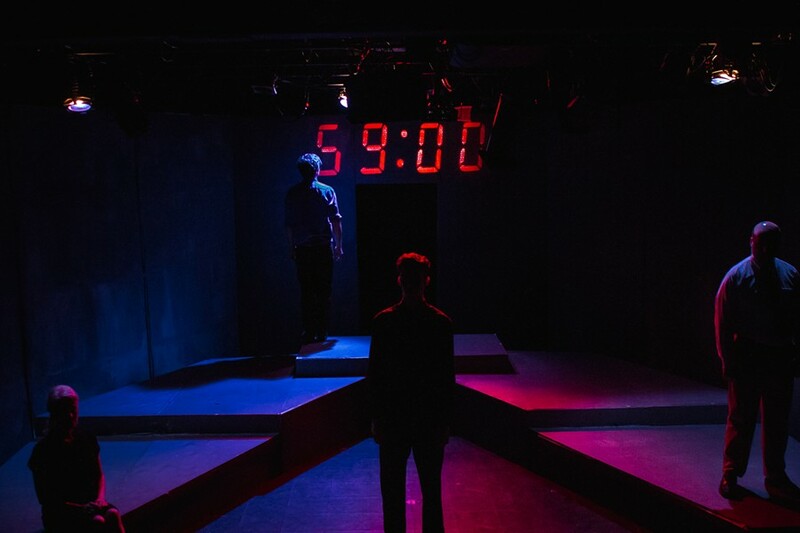 Jordan Tannahill’s 2014 play imagines the last hour of Fechter’s life as he lay dying from a gunshot wound at the Berlin Wall, reliving the decisions that brought him to this moment. Peter Sarty plays Peter Fechter with a captivating, wide-eyed earnestness that underscores the tragic events. Henricus Gielis is Helmut, the friend who inspired the dangerous plan to cross the wall, and whose successful escape haunts Peter’s dying thoughts. Gielis’s performance channels the charismatic and reckless teenager that inspires the more impressionable Peter to follow his lead. And why does he take the risk? Perhaps Peter is in love with Helmut. Perhaps on the other side of the wall this love, and many other things, will be permitted. Andrew Chandler and Rena Kossatz appear as Peter’s parents, offering another narrative of why Peter made the fateful choice that would be his last. Alison Crosby tackles the ambitious play as the first guest director with Matchstick Theatre, but the production doesn't do Tannahill's script justice. The staging is often clumsy, the actors seem lost with their props, and the otherwise strong performances are overshadowed by the lack of attention to detail. Despite the production’s flaws, Tannahill's words alone are reason enough to make Peter Fechter: 59 Minutes worth seeing.